The Oklahoma City Thunder have the record of a mediocre team but the point differential of a very good one. Which matters more? And what does it tell us about the Thunder's future? 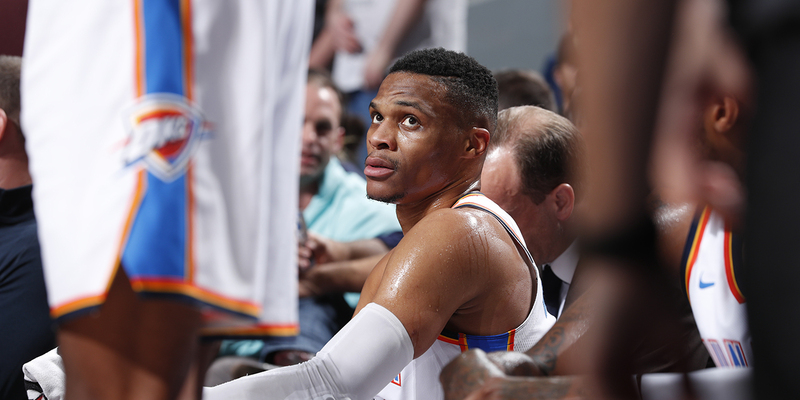 The Oklahoma City Thunder are challenging what we know about the NBA: there has never been a team with such an extreme difference between their record and their point differential at this point in the season. The Thunder have outscored opponents by 5.0 points per 100 possessions through their first 19 games, a number which ranks 5th in the league and normally equates to that of a 54 win team over the course of the season. That’s around where various projection systems and the Vegas win totals placed them before the season started. If point differential is all you knew about the team, you’d say things were going according to plan. If you pay attention to the mainstream NBA media, though, you’d think something was very wrong. The Thunder sit three games below .500 at 8-11, they don’t know how to share the ball, they can’t win in the clutch, and this experiment is teetering on the brink of collapse. These stars can’t co-exist! There’s only one ball! And the Thunder are proving it. There are frequently cases where a team’s record diverges from what we’d expect based on their point differential, but in the last 15 years there has never been a discrepancy this large at this point in the season. The Thunder’s win total sits 4.6 games below what an average team with their point differential would normally win. (Using the pythagorean win expectation with an exponent of 14.) No team in these 15 years has been more than 4 games below expectation through 20 games. The Thunder have ended up with such unbalanced results because they have been winning in blowouts while losing close ones: only 1 of their 11 losses has been by double digits, while 7 of their 8 wins have been. But why all this fuss about point differential? A team is what its record is. Wins are wins. If the Thunder aren’t winning close games, won’t that continue?